Trying to sell a haunted house? 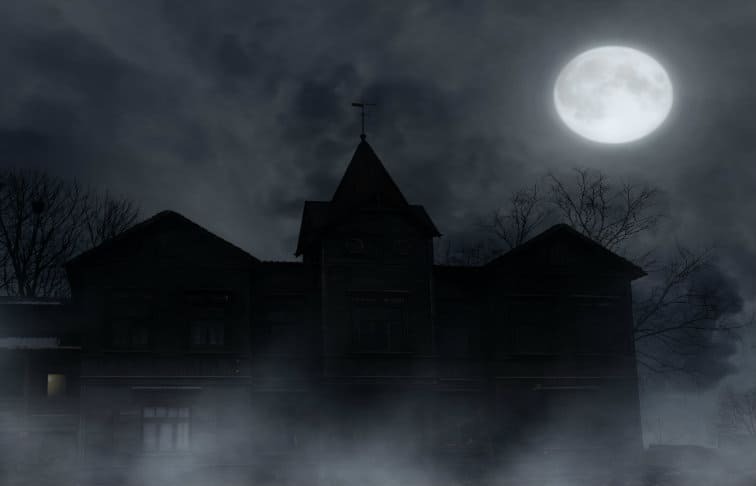 While a property with a spooky backstory might be a turnoff to some buyers, to others it could hold just the right intrigue to get them truly passionate about making a purchase. Whether you believe in ghosts or not, homes with spooky mythologies are listed for sale each year in the United States. A recent Realtor.com study found that one in three people said they’re likely to purchase a haunted house if they can get a better deal on it. This particularly holds true for millennials — 17% of that age group said they’d be willing to consider a house with a poltergeist inhabitant if the price was right. FREE Guide: Learn how to earn more with our 2018 Real Estate Income Guide. We asked real estate agents across the country about their experience on what to do if you need to sell a haunted house. One story that stood out to us was the experience of Chuck Vosburgh at NextHome Gulf to Bay in Florida. Why? Not every house that has a strange backstory will also have rumors of being haunted. Sometimes, you’ll just have to deal with a house where there was a death or a deceased body that went unnoticed. Those can be tricky too. We had a property to sell where a tragic death had occurred, but selling the property was not a problem. A man in the prime of his life slipped and fell on his back porch, hit his head and bled to death. He wasn’t found until several days later when a neighbor investigated the smell coming from his property. Naturally, the story was well known and our job was to sell the property for the relatives. The property was professionally cleaned. If there is any kind of hazardous material on the property it must be disclosed and if a question arises later, it’s important to be able to prove that it was professionally remediated. It’s also our duty to make sure no one is exposed to anything hazardous while viewing the property. Things like deaths, suicide, murder and crimes don’t have to be disclosed in Florida, but you have to be honest. We didn’t mention that there was a death on the property because it doesn’t have any material effect on the value of the property. That said, if anyone asks, it’s our responsibility to answer the question honestly. Honesty is always the best policy and there are plenty of buyers who are not bothered by those kinds of things. Even though it seemed like everyone knew about the accident in the house, not one buyer asked about it. For a house that was believed to be haunted, a sign was added to the for sale sign (we call them riders) that said: “Haunted”. The agent even got the local newspaper to do a story about the house. It generated a lot of traffic and the house sold quickly because of the additional interest. As the saying goes, there’s no such thing as bad publicity! Another supposedly haunted house had a sign that said “not haunted” as a humorous way of acknowledging the rumor. Humor always sells and there are a lot of buyers who do not believe in ghosts. It’s important to know the law in your state. In Florida where I work only material defects have to be disclosed, but we also have a responsibility to be deal fairly and honestly. I believe that trying to conceal facts will always come back to haunt you (get it, haunt you… lol) so if in doubt we always err on the side of disclosure. Selling a haunted house might not be as daunting as you’d expect. While it will scare some buyers off, others revel in the opportunity to strike a deal. Some buyers don’t believe in ghosts and aren’t bothered either way. So, next time you have a property with a few skeletons in the closet, think twice before you run screaming.